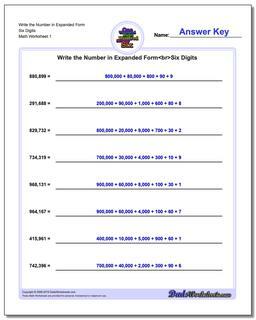 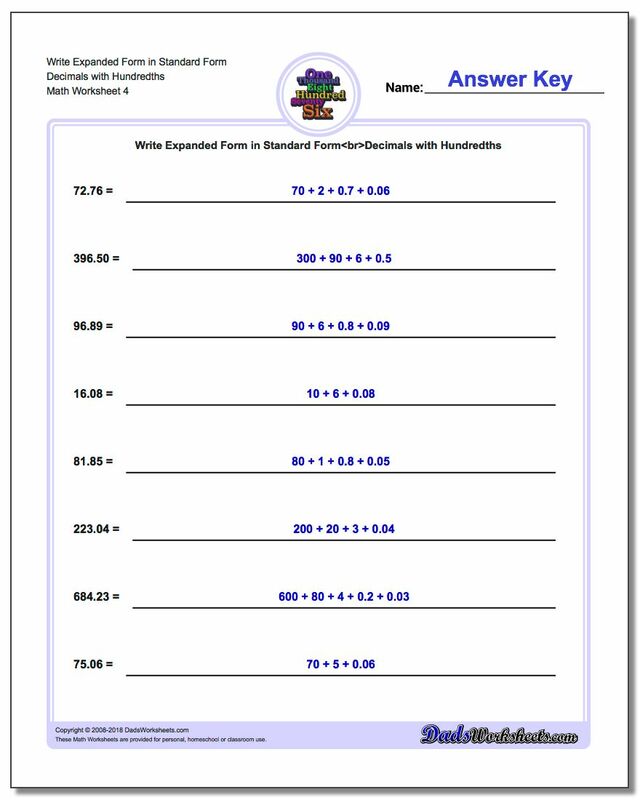 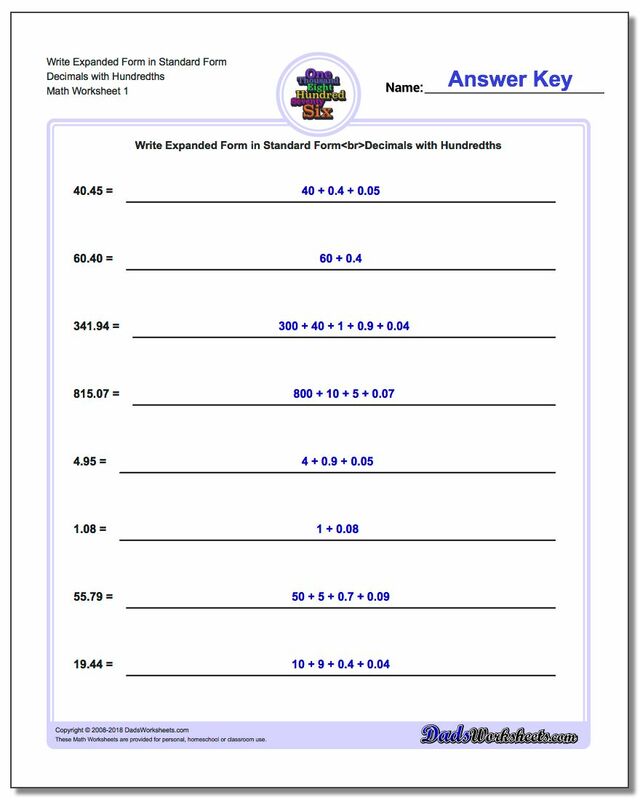 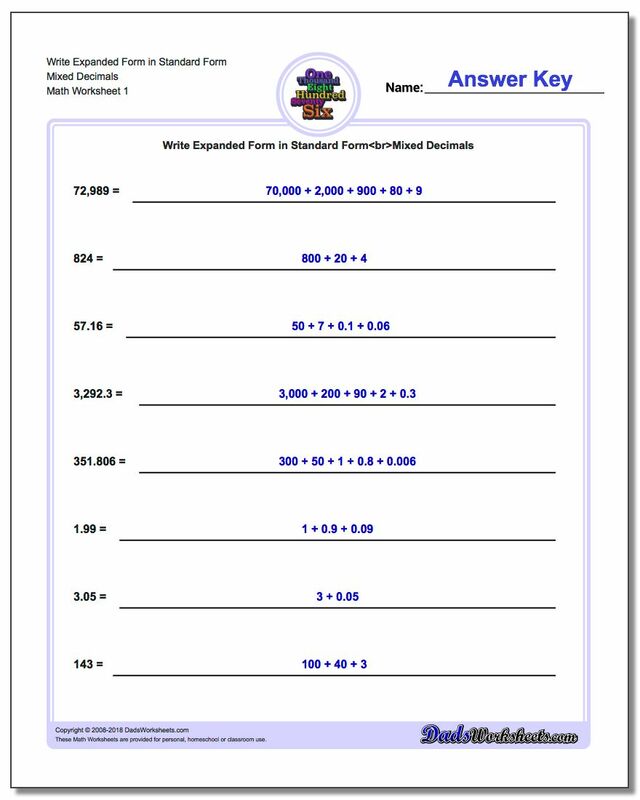 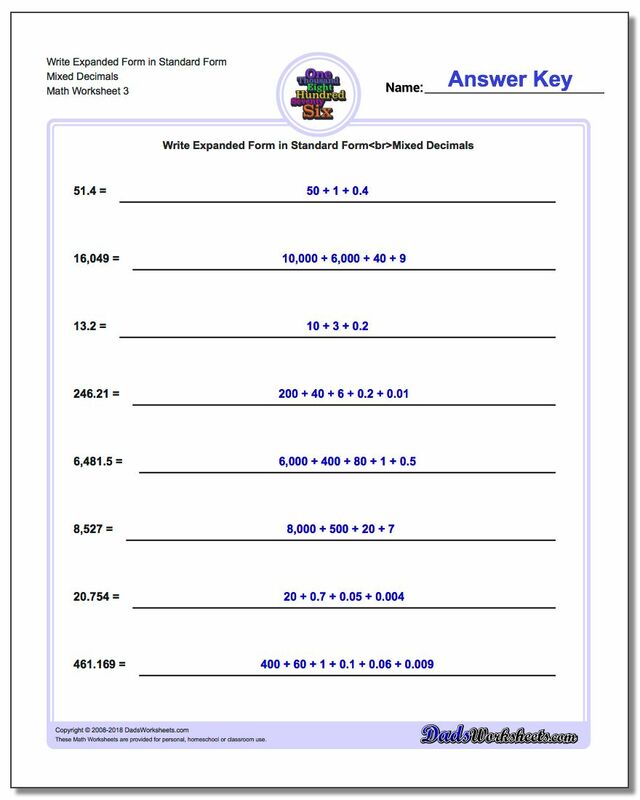 These are expanded form worksheets for converting numbers from standard numeric notation into conventional expanded form where the place value multiplier and the digit are combined. These worksheets are similar to those in prior section where the place value multiplier and the place value digit were separated and grouped together. These worksheets are a more conventional version of the expanded form representation where both components are multipled and the expanded form representation is a simple composition of addends. There are a variety of worksheets in this set with problems of different lengths, ranging up to seven digits. Some sets of the problems have numbers that have zero place values, which require students to know when to skip the place value expansion. The worksheets that have longer digit problems are great final practice for the end of units on expanded form and place value concepts.